How does a neighborhood earn a name? Sometimes a name is assigned from the onset, and sometimes it grows organically into an appropriate moniker. Cherry’s name was inspired by the cherry trees that grew on John Spring Myer’s farmland, while NoDa was a name chosen by architect Russell Pound in the 1990s. Today, the debates rage on for titles to sprouting hoods across the city. 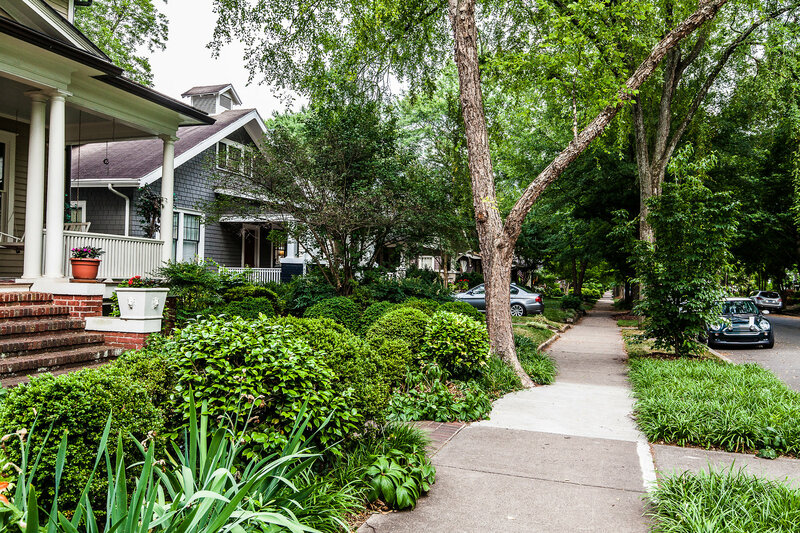 Lower South End/LoSo/Queen Park, Montford/MadPark and variety of other trendy suggestions emerge with passionate defenders and detractors on both sides as Charlotte continues to grow into itself. To consider the future, let’s take a look at our past with this brief history of Charlotte neighborhood names. Starting in the 1960s, local businessmen Smoky Bissell and Johnny Harris helped develop two million square feet of commercial office space in SouthPark. 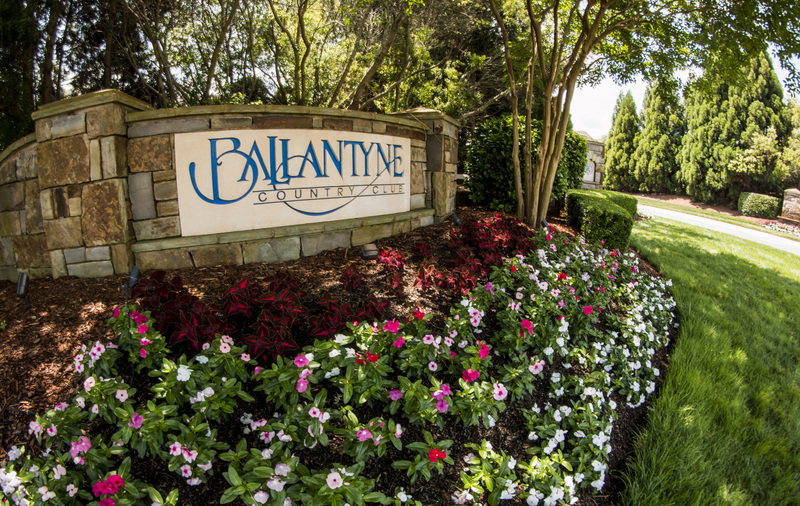 By October 1995, Bissell set his eyes on the area that was to be known as Ballantyne. Harris, along with his siblings, had inherited the hunting preserve land of their grandfather, former North Carolina governor Cameron Morrison. After purchasing the land from Harris, Mr. Bissell named the newly acquired area after his aunt, Barbara Ballantyne. Dilworth was named after the Charlotte real estate developer Edward Dilworth Latta, who also lent his name to Latta Park. He developed the area as Charlotte’s first suburb, and connected it with a new Trolley system. According to the National Register of Historic Places Registration Form, “The grand opening for Dilworth was held on May 20, 1891, and attracted newspaper reporters from around the region. Festivities included fireworks., a baseball tournament,” a comic opera performance, and, most importantly, an auction of building lots.” Dilworth was first listed on the National Register 1987, and later increased its boundaries in 2000. The Elizabeth neighborhood takes its name from Elizabeth College, a small Lutheran women’s college founded in 1897 on the present-day site of Presbyterian Hospital. Two Lutheran Synod trustees, Charles Banks King and C. L. Fisher, founded the campus, and King named the new site Elizabeth College, in honor of his mother-in-law, Ann Elizabeth Watts. In 1915, the college moved to Salem, Virginia and merged with Virginia’s Roanoke College for Women. The Charlotte campus was then purchased and converted into the Presbyterian Hospital in 1918. By 1980, the original Elizabeth College building was demolished to make way for construction of larger, modern hospital buildings. 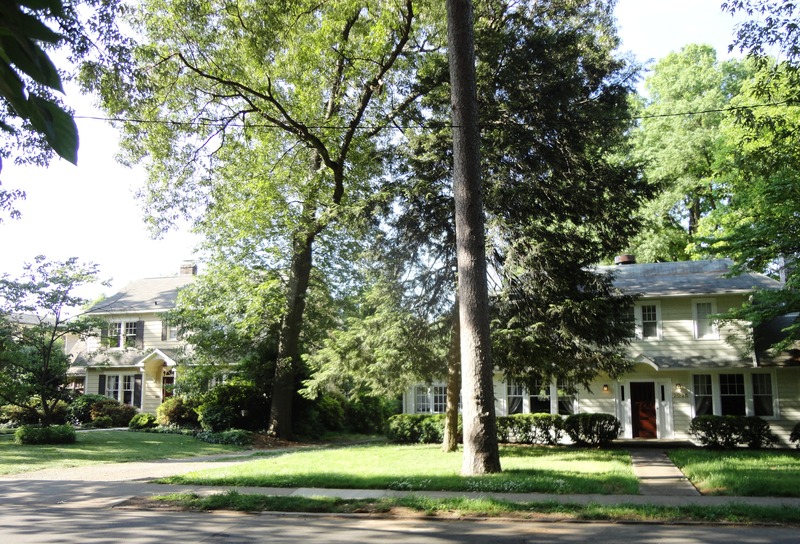 Unfortunately, most records of the Elizabeth college were lost when the Virginia institution burned to the ground in 1921, but the name remains today as one of Charlotte’s most beautiful neighborhoods.